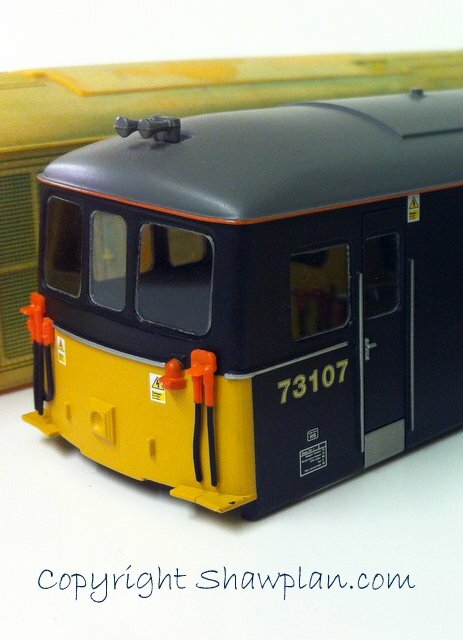 We are pleased to announce the release of the Laserglaze kit EEFG7301 for the Hornby and Lima Class 73 body, price code K.
This weekend we are at the Nottingham show and the class 73 kit will be in stock, we hope to see you there! Firstly thank you to all the visitors who came to see us at Glasgow. This past week we’ve been working on restocking and development to our ranges. This weekend we are at the Kidderminster show and we look forward to seeing you there. You are currently browsing the Shawplan's Blog blog archives for March, 2012.